THE Road Transport and Safety Agency (RTSA) has forgiven Power Tools Bus Services following their defiance against the provisions of Statutory Instrument (SI) No. 76 of 2016 which restricts the movement of Public Service Vehicles (PSV) at night. RATSA early this year gave Power Tools an ultimatum to show cause why they could not be punished for wilfully defying the law, which led to an accident, resulting into the death of a passenger. 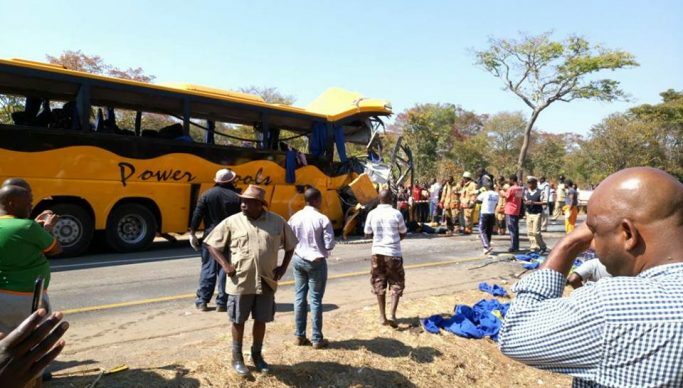 RTSA head of public relations Fredrick Mubanga, “this was in a wake of a road traffic crash that happened on 28th December, 2018 around 04:22 hours, involving a Power Tools bus registration number ALD 1807 were one person died and five injured. The crash occurred along the Kapiri Mposhi – Ndola road, 20 kilometers from Ndola at Rainbow area,”. Mubanga explained that Power Tools Bus Services in a letter dated 14th January 2019, assured the Agency of enhancing effective the use of Global Positioning System (GPS) to monitor the movement of the buses to reduce the rate of violations by drivers. He explained that RTSA apart from just cautioning the offender, had directed the company to grant the Agency access to the GPS so that the RTSA could constantly monitor the movement of all buses belonging to Power Tools Bus services. “The Agency is closely monitoring the company’s operations and should any of the drivers be found driving outside the permitted hours or should there be any circumstance relating to the company’s operations that endangers the lives of the travelling public, the Agency will not hesitate to suspend the road service licence,” he said.